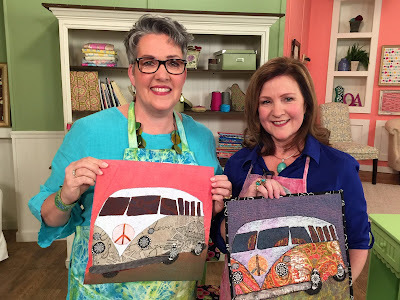 A week ago, I was in Cleveland, shooting my sixth series of “Quilting Arts TV” – Series 1900. (I’ll post photos from the shoot later this week!) One of our guests was Teresa Shippy, who is well known for her Cool Classic Rides series, featuring wonderful old cars, buses and campers. They are absolutely fabulous. She demonstrated how she makes these art quilts in a segment, and I came home dying to try it. Me, with Teresa Shippy, and some of her groovy VW vans! My dad has dementia/Alzheimer’s, and his memories of things far in the past are much better than those of what he had for breakfast. 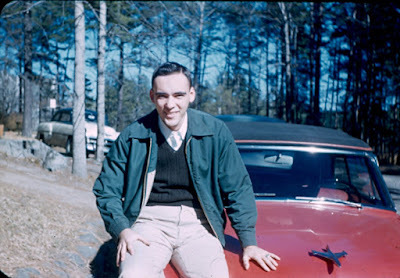 He loves looking at old photos, and for his eightieth birthday, I made him an album filled with photos from his life, from birth to the present. 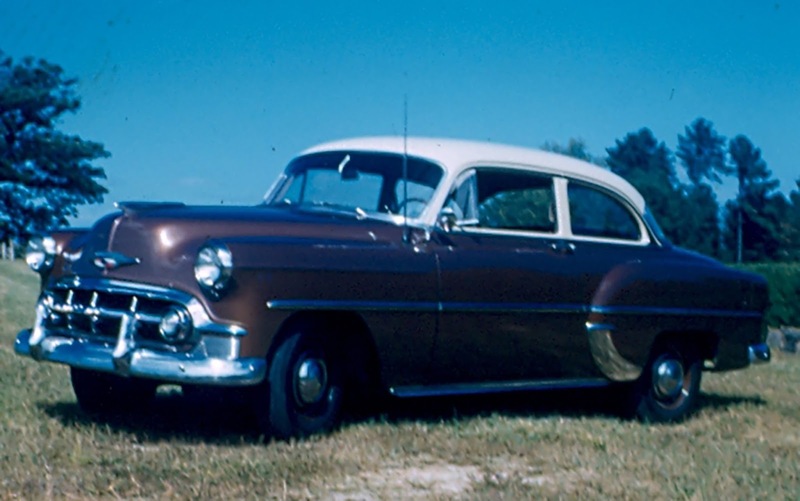 My Dad, in 1956, with an earlier family car. For this piece, I used Teresa’s techniques, working on a piece of painted canvas, and collaging the pieces for the car from cotton fabrics, canvas, and some specialty fabric (the tires are a fake leather). I’m really thrilled with how it turned out. Thanks, Teresa! I’m excited to share Teresa’s techniques with our QATV viewers. Series 1900 will air this winter. 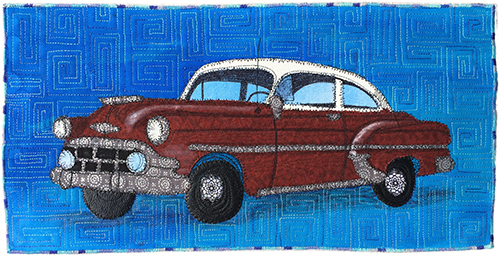 I hope Dad likes this piece, and it brings back good memories.